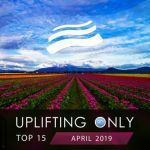 Harpaul Alberto Kohli (Ori Uplift)—the owner and CEO of Abora Recordings—was born in Washington, DC, in 1980, to a father from India and a mother from Ecuador. He grew up surrounded by music from different cultures, and attended almost all the children's programming at the National Symphony Orchestra. For seven years he took piano lessons, plus served as his piano teacher's assistant and page turner at various concerts; his teacher felt he had promise as a pianist. But after 7 years he quit piano due to a lack of time and never imaged he'd get involved in music professionally. Growing up he listened mostly to pop, soundtracks, rock, classical music, bhangra, & latin. When he encountered electronic music during college, he very much liked it, as he did Goa trance when a cousin played it in India. But all this was just as a casual listener. Then, in 2007, while exercising on the elliptical machine at the gym, the AV system played a Tiesto music video and he instantly fell in love with the music. He went back home and bought Tiesto's Perfect Remixes Vol. 3. But he still never imagined he'd get involved with music professionally. He was very happy and busy with his job as an economist. However, he really loved sharing his favorite trance music with others, and once he started recognizing this passion within himself he started considering becoming a dj. He waffled back and forth until the deciding moment in 2009: after a Paul van Dyk concert he ended up spending 2 hours driving a trio of lost evangelical Christian girls back to where they were staying. Aside from helping them, most people would consider those 2 hours a complete loss of time. But in the car he played them his favorite trance tracks. He decided that if he was happy to give up 2 hours of his busy schedule to spend an hour sharing his favorite music to complete strangers, then he had to be a trance dj. In 2010 he started up a trance project called Trance Tehillim to make trance songs with lyrics from the book of Psalms. In part through that became friends with Steve Wensley, the then-owner of Abora Recordings, who eventually transferred ownership and control of the label to him for free in the summer of 2012. Once in charge, and committed to giving more people in the world access to orchestral uplifting trance, he decided to grow the staff and bring into the fold key talented young orchestral uplifting artists and focus on their development. While committed to not compromise quality, he and the new staff increased the release rate from one every 2 or 3 months to at least one new release promoed each week. One sign of Abora's success is that since he and the new staff took over, Abora has won the Future Favorite vote on Armin van Buuren's A State of Trance six times, more than any label besides Armada and Armind, and the most of any uplifting label.